A true Florida native, Linda was raised in Miami. She founded Forever in Love in 2002 determined to create a wedding and event planning company that would offer personalized service to her clients. Linda gets her drive from her father who was also a business owner. “My father’s work ethic taught me to always try harder to make clients happy”. Through Forever in Love, Linda works tirelessly to make your wedding special and unique to you. .
With a focus on the client, Linda aims to provide personalized attention from the first day and throughout the planning process. With her organizational skills and calm demeanor she will make sure everything is executed flawlessly. The privilege of helping couples plan their weddings is something she finds very meaningful and rewarding. 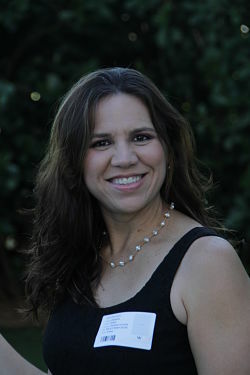 Linda holds a bachelor’s degree in Business and is fluent in both English and Spanish. In addition she is a certified wedding planner through Lovegevity Wedding Planning Institute. 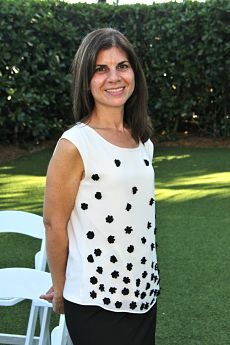 She is also a Notary Public for the state of Florida and an experienced wedding officiant. When she’s not out planning weddings, Linda enjoys spending time with her husband and two boys, and basking in the South Florida sun. Damaris is a certified wedding planner and coordinator. With her strong attention to detail and work ethic, she ensures that our events are flawless. She is also a Notary Public for the state of Florida and an experienced wedding officiant. She is also fluent in both English and Spanish. Contact us today to start planning the wedding of your dreams by calling 305-793-1572, or click here to contact us online.